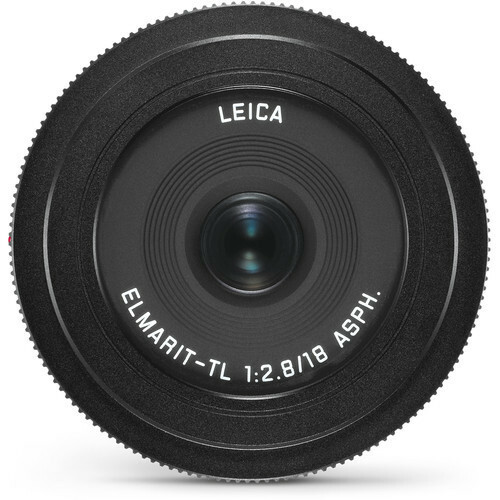 An especially compact lens, the black Elmarit-TL 18 mm f/2.8 ASPH. 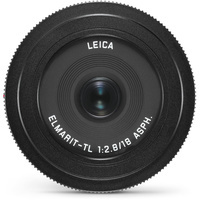 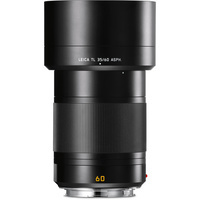 is a 27mm equivalent wide-angle prime designed for APS-C-format Leica L-mount mirrorless cameras. 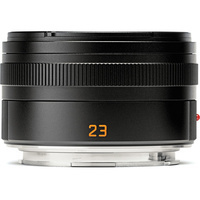 Its pancake form factor measures just 0.8" thick, making it ideal for everyday use and travel applications. 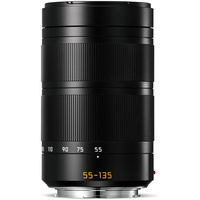 Its optical design features four aspherical surfaces to help suppress spherical aberrations and distortion for greater clarity and sharpness. 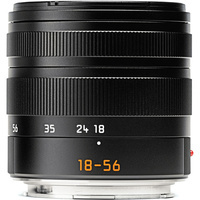 Additionally, its autofocus design allows for full-time manual focus override for greater control when working with selective focus techniques. 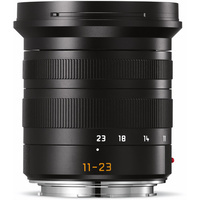 This 18mm f/2.8 wide-angle prime lens is designed for APS-C-format L-mount mirrorless cameras and provides a 27mm equivalent focal length. 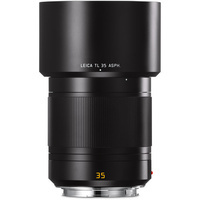 Four aspherical surfaces are featured in the optical design to control distortion and spherical aberrations for greater sharpness and clarity. 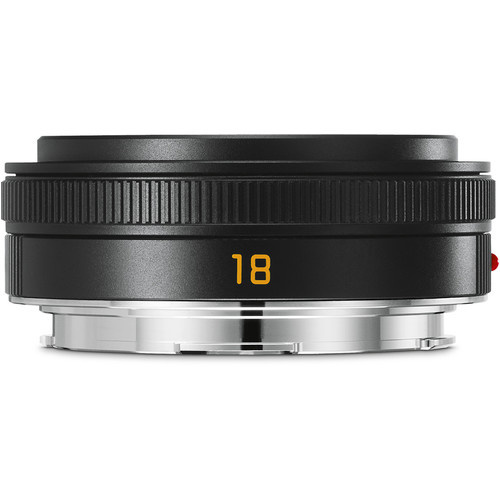 Pancake form factor measures just 0.8" thick for an ultra compact, sleek option well-suited to everyday shooting. 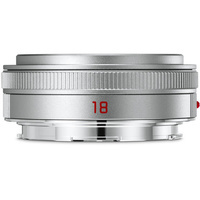 Autofocus design affords full-time manual focus control along with a minimum focusing distance of 11.8".